Session 10 of the Citizen’s Police Academy (CPA) is set to begin Monday, January 15, 2018, at 6pm. 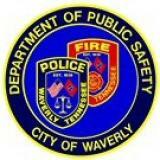 Chief Grant Gillespie and officers from the Waverly Police Department will conduct the program. Classes are approximately three hours in length and are held every Monday night through March 19. Topics covered in the course include an overview of the law enforcement profession, criminal law, drug enforcement, patrol, firearms, DUI, defensive tactics, crime investigations, emergency driving, and other police related topics. “Basically, it’s an extremely condensed version of the real police academy. Each night’s topic is the same as a week’s topic in the police academy”, Gillespie said. The class is very “hands on” and cadets will be allowed to drive police cars, shoot department weapons, write police reports, and ride with patrol officers on their shifts. According to Chief Gillespie, “This class gives you a behind the scenes look at what we do and why we do it. It's a great way to understand how your local police department works." Applications will be accepted through January 8.